Pharmacy Hood Services: Certification, repair and cleaning of all makes and models of biological safety cabinets (Chemotherapy hoods), laminar flow clean benches (IV Hoods) and barrier isolators. Cleanroom Services: Certification, testing, particle counts, biological monitoring, decontamination and professional cleaning services. USP <797> Non-viable laser particle counts and statistical analysis in hoods, buffer zones, buffer rooms, anterooms and ante areas. 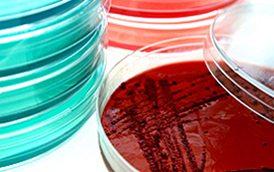 USP <797> airborne and surface bacterial and fungal microbial testing. 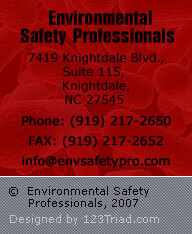 HEPA filter leak testing and replacement. Balance Calibration: Clean and calibrate scales and balances. Cleanroom Sterilization: Removes viable organisms from all surfaces via chlorine dioxide or hydrogen peroxide exposure: Performed after construction, power outages, or high viable counts. The proposed revisions to General Chapter <797> will be published for public comment in Pharmacopeial Forum (PF) 41(6) [Nov.–Dec. 2015] on November 2, 2015, pursuant to section 7.02 of the Rules and Procedures.